We’re all about families here at Westport House and Estate: Stuff you can do together as a family unit, as well as stuff that the kids will want to do all by themselves – and grown-up stuff that mums and dads will embrace while the kids are happily and safely occupied. When it comes to together time, what could catch the imagination more than an outside theatre performance of a fairytale, in a truly fairytale setting? Westport House’s outdoor-theatre events are fast becoming an annual must-do for families. Hardworking mums and dads get a break from reading bedtime stories, while kids get to go to bed with their little heads full of magical tales and happy endings. 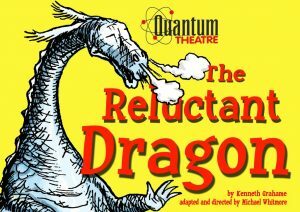 This year, Quantum Theatre returns to the beautiful estate grounds on August 14 to perform a charming adaptation of Kenneth Grahame’s ‘The Reluctant Dragon’, on the front lawns of Westport House. The play tells the enchanting story of a little boy who has to work out how to protect his friend – a peace-loving, poetry-writing dragon – from St George, the dragon slayer. So settle down on a picnic blanket, pour yourselves a picnic cup of bubbles, and let your small people fall in love with the theatre and its magical immediacy. (You’ll probably be swept up in the story too, but don’t worry, we won’t tell anyone…). See here for more info and tickets. 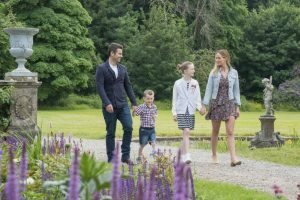 Explore the stunning Westport House gardens, which have something for all the family – a wonderful blend of stunning gardens and gripping history for older members, and plenty of fun to capture the attention of little ones too. Mum and dad, watch your kids’ eyes widen as you tell them how some of the estate’s trees are among the oldest in the UK and Ireland, with some dating back 300 years. 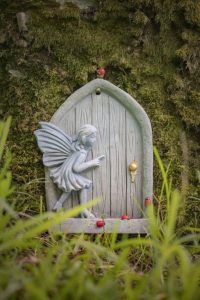 And their little eyes will be out on stalks when they get to the estate’s fairy trail, where all sorts of magical winged things live and frolic, just waiting to be discovered by tiny humans. Meanwhile, grown-ups will encounter a plethora of historic points and items of interest along the way – including the ruins of Westport’s first protestant church; the sun house or ‘garden temple’ built in 1914; a servants’ tunnel; a 3,000-year-old Greek sarcophagus; poignant famine pots that were used to feed the masses during the Great Irish Famine; and a Spanish Armada canon lost when the 130-ship-strong fleet ran aground on the west coast in 1588. Why not join us on one of our popular guided tours of the grounds, which leave from the front steps at the house at 2pm daily, until August 30th? Inside the house itself, there are even more fascinating finds to delight visitors of all ages. Children are immediately captivated by the dungeons – the foundations of the castle built almost five centuries ago by the Pirate Queen, Grace O’Malley or Grainuaile. You can almost hear the clinking of chained prisoners, the creaking of treasure chests, and the cackling of pirates past. 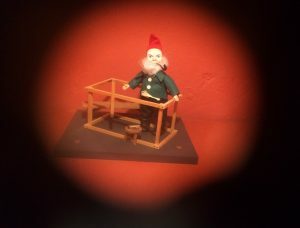 Upstairs, wander past the children’s nursery with toys of the time, encounter a massive collection of chamber pots that is sure to bring on the giggles, and find an astonishing wax-work museum with ten life-size historical figures, all with connections to the Irish arts. Find out more about the historic house here. Okay, so spending time together is fab, of course, but sometimes it’s nice to have a little down time, when everyone gets to do something that piques their own individual interests. Located right on the grounds of Westport House, Hotel Westport has a brilliant kids’ club. The Panda Club* has different groups tailored to the interests of younger and older kids, and offers a whole range of exciting indoor and outdoor activities, from treasure hunts and swimming to arts and crafts. Fully supervised and hugely popular, parents can rest assured that their children are having the time of their lives while mum and dad head off to do their own thing. Looking to relax and unwind while the kids are away? Look no further than Hotel Westport’s Senses Spa. A haven of peace and tranquility, its facilities include a hamam, a Cleopatra bath, individual treatment rooms, a relaxation room and a make-up room. There’s a full range of gorgeous rejuvenating treatments both for her and for him. And for those who can’t bear to be apart for even a minute, we even have spa experiences that have been created especially for couples! Or, if mum or dad is a history hound, why not grab the chance to nip back to Westport House and get the full historical low-down on the house and grounds with a guided tour? We have some great family deals in Hotel Westport for late August starting at €99 for a family of four for a night. Check them out here. 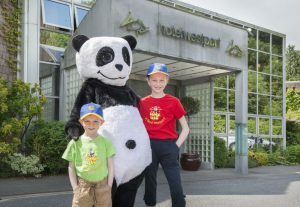 * To avail of the Panda Club, families must be overnight guests of Hotel Westport. The Panda Club is not available to guests staying in the Caravan and Camping Park at Westport House. 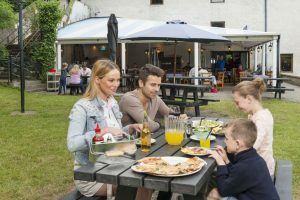 Whether you’re camping on site, staying in the grounds at Hotel Westport or visiting for the day, Gracy’s Pizzeria and Bistro, just beside the farmyard and campsite, is an absolute must. With mouthwatering food, live entertainment and delicious local craft beers, this all-day restaurant serves gastro grub that tickles all kinds of taste buds – even the pickiest. Best of all for mum and dad, it’s literally a stone’s throw from the Pirates’ Playground, where a slide, climbing frames, rockers and a traditional carousel await. Sit back and watch the kids burn off the calories while you loll around chatting over a local tipple. Nice. Find out all you need to know about the original wood-fired pizza oven in Westport House’s Gracy’s. Why not see if you can bag a deal? 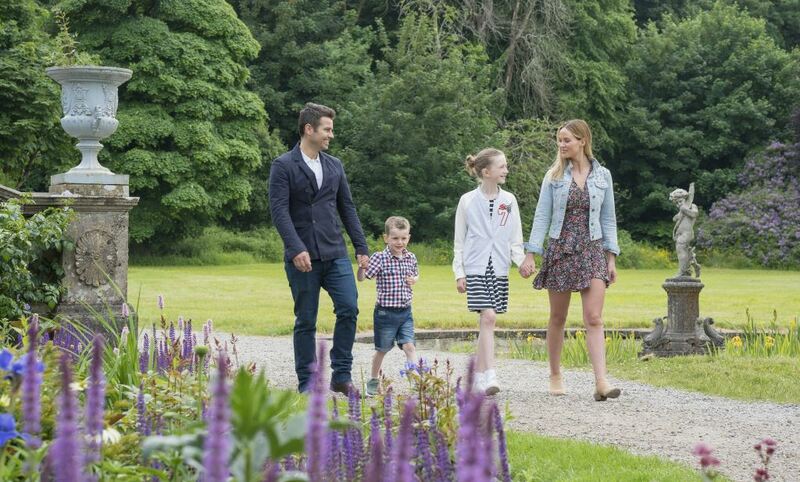 We have some late availability, book a one night family break for a family of four from €99…. Check out www.hotelwestport.ie for details. Super. Get 5% off tickets when you book through www.WestportHouse.ie.